Lead your guests through tales of Christmas Past, Present, and Yet to Come. 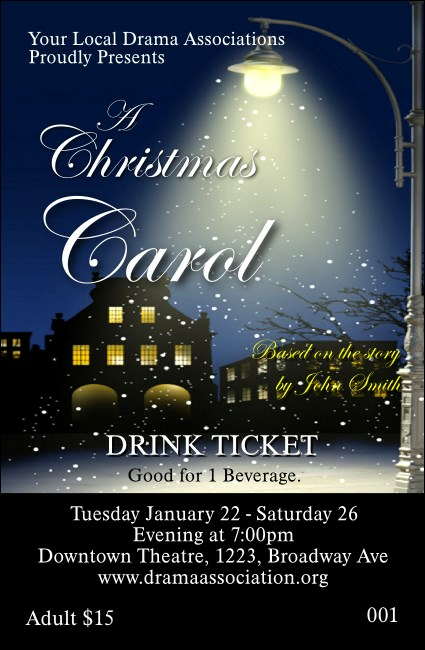 Raise spirits and hand them the Christmas Carol Drink Ticket at your performance. This wintry template depicts a hushed small town on on a snowy evening. Tickets are individually numbered to help concessions stay organized.